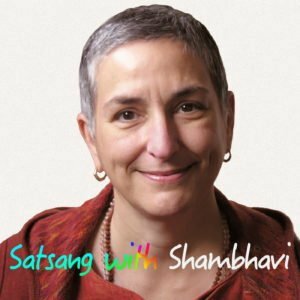 Shambhavi compares the spiritual teacher to the vampire at the door. It’s up to you if you want to let the teacher in. I’ve often compared the spiritual teacher to the vampire at the door, meaning that, if you know the legends of the vampires, that you have to let the teacher in. Students sometimes look up at teachers as if we’re these all powerful beings. We actually have very little power over you, in fact, hardly any. If you’re fooled by a teacher who’s not a good teacher, that’s your lack of clarity. If you decide that you don’t want help that a teacher has to offer, that’s your decision. That’s your karma. Even the greatest teacher, even the most enlightened teacher, can’t do anything without your permission. That’s just the way nature works.